River levels are rising downstream of Gympie as floodwaters from the upper catchments move down according to the Bureau of Meteorology. Minor flood level warns are still in place along the Mary River through Gympie but BoM information suggests that there has been little recorded rain today. There are still several roads around Gympie that are still closed including Noosa Rd at Mothar Mountain. Minor flood levels continue to rise along the Mary River between Dagun Pocket and Gympie according to the Bureau of Meteorology. Despite showers in Gympie at the moment, the BoM indicated rain has eased over catchments, with no significant rain recorded during the last six hours. River level rises are expected downstream of Gympie, as flood waters from upper catchments move down. THE Mary River is now expected to peak at 8.5m at Gympie this morning. The water, which is still rising, will still be more than one metre below Kidd Bridge. Further rainfall totals of 30 to 95 mm have been recorded across the upper Mary catchment since 9am Friday, and up to 45 mm across the remainder of the catchment. Further areas of heavy rainfall is expected overnight Friday and into Saturday. Mary River to Gympie: Minor flooding is rising along the Mary River to Gympie. The Mary River at Moy Pocket is currently at 3.93 metres and rising. The Mary River at Moy Pocket is expected to remain below the minor flood level (11.70 m) overnight Friday into Saturday. The Mary River at Dagun Pocket is currently at 6.48 metres and rising. The Mary River at Dagun Pocket may reach the minor flood level (7.00 m) early Saturday morning. The Mary River at Gympie is currently at 6.94 metres and rising. 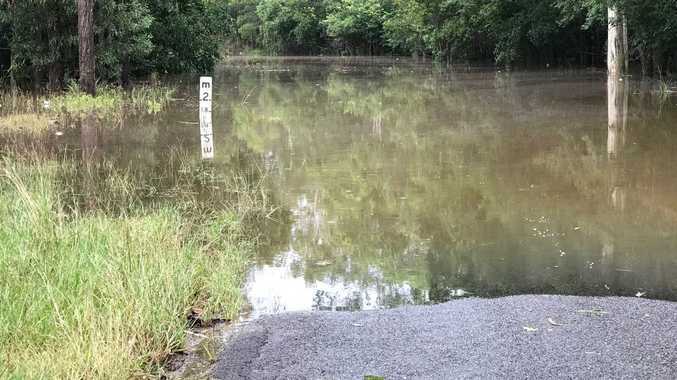 The Mary River at Gympie is expected to reach around 7.00 metres late Friday evening, with further small rises likely to reach around 8.50 metres during Saturday morning. Six Mile Creek: Minor flood levels remain near a peak at Cooran during Friday evening. 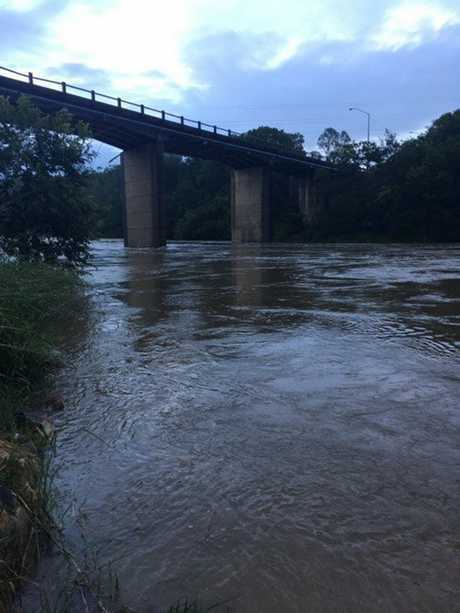 THE Mary River is expected to peak tonight at Gympie at the minor flood level of seven metres, well below the height of the Kidd Bridge. 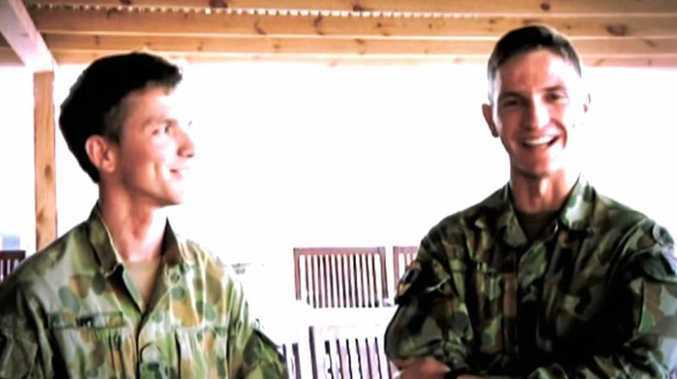 It is currently sitting at 6.39 metres and still rising. Further rainfall totals of 20 to 50 mm have been recorded across the upper Mary catchment since 9am this morning, with less than 10 mm across the remainder of the catchment. Further areas of heavy rainfall is expected during the remainder of today and into tomorrow with falls of up to 65 mm possible in the region, according to Bureau of Meteorology forecaster Sean Fitzgerald. The Mary River at Moy Pocket is currently at 3.43 metres and falling. The Mary River at Moy Pocket is expected to remain below the minor flood level (11.7m) during Friday. The Mary River at Dagun Pocket is currently at 5.34 metres and rising. The Mary River at Dagun Pocket is likely to remain below the minor flood level (7m) during Friday. The Mary River at Gympie is currently at 6.39 metres and rising. 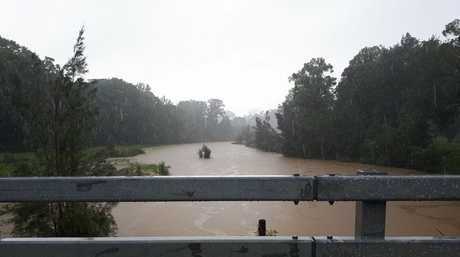 The Mary River at Gympie is likely to reach around 7.00 metres overnight Friday into Saturday. Minor flooding has peaked in Six Mile Creek at Lake MacDonald Drive, and is peaking downstream at Cooran. Minor flood watch for Mary River: The BoM has issued a minor flood watch as heavy rain continues to fall around the region. River level rises are occurring along the Mary River between Fishermans Pocket and Tiaro. The Mary River at Miva is currently at 6.16 metres and rising. The Mary River at Miva is expected to remain below the minor flood level (7.50 m) during Friday. The Mary River at Tiaro is currently at 1.8 metres and steady. The Mary River at Tiaro is expected to remain below the minor flood level (6.00 m) during Friday. The Mary River at Maryborough will remain below the minor flood level (5.00 m) during Friday. Major flood levels are easing on Tinana Creek at Tagigan Road. Creek rises are occurring further downstream along Tinana Creek during Friday. Update 11:30am: WATCH: Stunning footage of the a swollen Mary River from the air as rain continues to fall around the region. 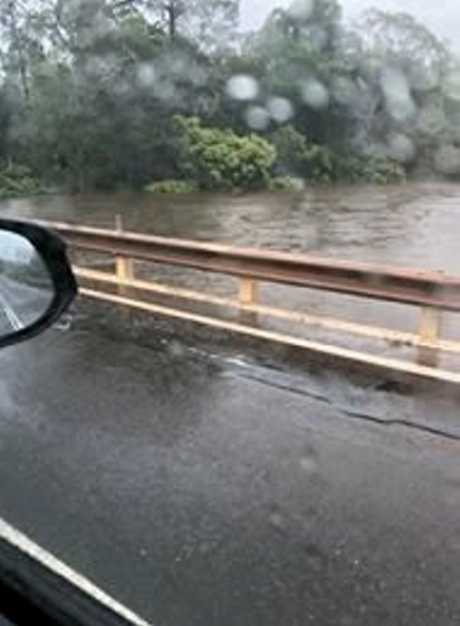 Coondoo Bridge on Tin Can Bay Rd is predicted to close at about 3pm today as water slowly rises under it, reports suggest. The water is rising at about 60mm an hour and is currently 280mm under the bridge. If more rain falls today in the Sunshine Coast hinterland this time could be hastened. When the bridge is cut, so is travel between Gympie and the Cooloola Coast. UPDATE 9.15am: The BoM have maintained their minor flood level warning for The Mary River with water expected to rise. Rainfall totals of 100-130mm have been recorded in the last 24 hours with the heaviest falls to Gympie's east. Earlier: A flood warning is still in place for the Mary River as the overnight deluge of rain has the water rising. Information from the Bureau of Meteorology suggests minor flooding is likely along the Mary River to Gympie. According to the BoM The Mary River at Moy Pocket is currently at 1.48m and steady. The river is expected to remain below the minor flood level of 11.70m at this stage. The Mary River a Dagun Pocket is currently at 1.18m and rising. 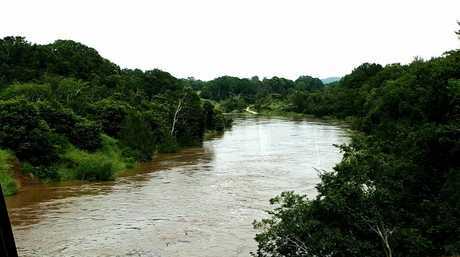 Based on forcest rainfall, the river level is likely to exceed the minor flood level of 7m this afternoon. The Mary River at Gympie is currently 3.64m and rising. Based on Forecast rainfall, the river level is likely to exceed the minor flood level of 6m this morning. 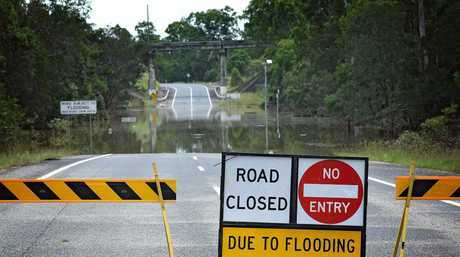 REPORTS a number of roads have been closed around Gympie this morning as the region experienced over 100mm of rain yesterday. Tagigan and Wilsons Pocket Rd cut at Tinana Creek. Parts of Old Goomborian Rd and possibly Sandy Creek Rd. Water over the Rd at North Deep Creek. River access at Normanby Bridge. Tin Can Bay Rd at Victory Heights. All Gympie schools are open. Gympie was smashed with rainfall totals of more than 100mm yesterday and today the BOM has the area on a flood watch. The hardest hit areas include Pomona, which had 113mm while Boreen Point copped 166mm and stations close to Gympie received close to 100mm of rain as well. A flood watch is in place for Coastal catchments from Maryborough to Caboolture while initial minor flood warnings are in place for the Upper Dawson River and the Mary River on the Fraser Coast. Rainfall totals of 60-150 mm have been recorded in the 48 hours to 10:00 pm Thursday, with local falls to around 200 mm. Further heavy rainfall is expected overnight Thursday and during Friday," the warning for the Mary River states. Minor flood levels are likely on the Mary River to Gympie during today.